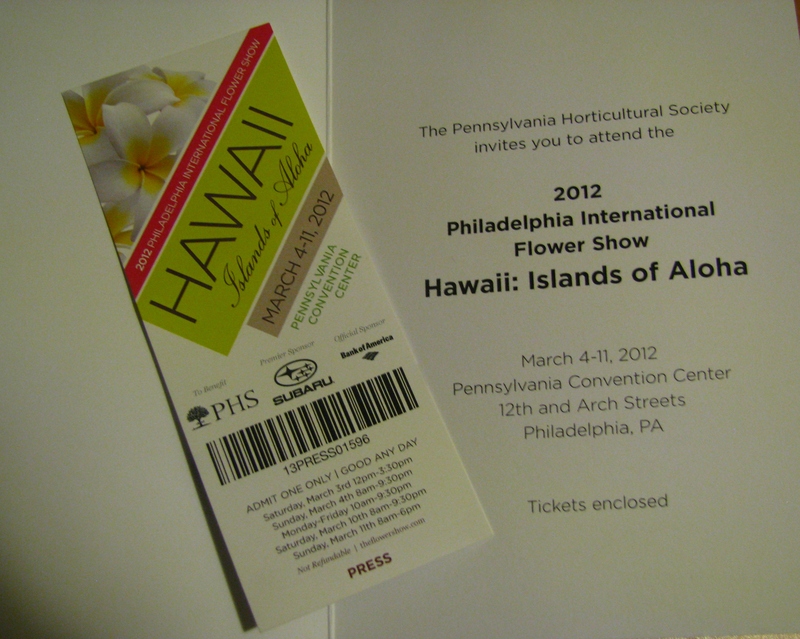 I’m so excited that I got my first press pass to the Philadelphia International Flower Show. What does the flower show have to do with cooking? Well the Show will feature an enticing array of food and spirits, from the finest French to farm-fresh organic. Culinary demonstrations, wine tastings, and an authentic Hawaiian-inspired restaurant will showcase the very best from the culinary garden. Cant wait to share pictures and stories about the show with you. If you’re ever in Philadelphia this would a great event to go see. Hosted by Chef Joseph Shilling with assistance from Philadelphia’s JNA Institute of Culinary Arts, FREE live cooking demonstrations by some of the region’s best chefs will be held three times each day in Culinary Room 204C. Guests will learn techniques in a variety of cooking styles, as well as tips on pickling, preserving, and freezing for a more exciting pantry. Some of the featured presenters include Chef Edward Lee, an acclaimed chef at 610 Magnolia in Louisville, a Food Network Iron Chef America competitor, and a recent James Beard finalist for Best Chef for cooking demonstration; Eugenia Bone, nationally recognized journalist and author; and Victoria von Biel, celebrated food writer and consulting food and wine editor for Organic Gardening magazine.